Can the current international concert pitch of music somehow be improved to create a more resonant and pleasant positive experience for both the musician and the listener? Can that change be more resonant based on observations of geometry and mathematical patterns found in nature? To answer these important questions we first must look at natural design and how we can apply that to music. 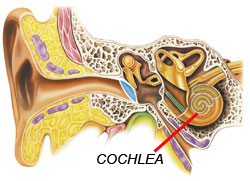 Our inner ear for example works on the basis of Phi dampening. The waters of our inner ears rely on Fibonacci spiral dampening through the seashell like structure of the cochlea to keep us feeling balanced, centred or grounded. This Fibonacci spiral shape helps cancel out certain inertial standing wave interference patterns just like a Helmholtz resonator in order to keep us properly balanced with the natural environment around us. When the inner ear is in stress we can experience a type of “fog like” condition or feel “spaced out”. 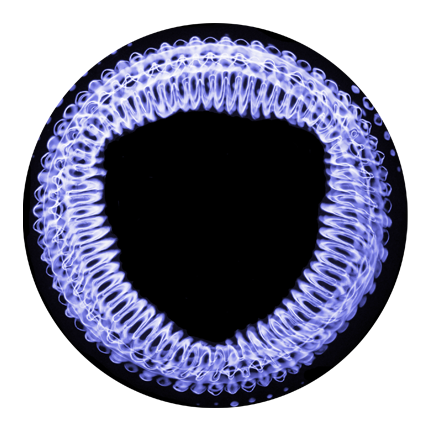 The natural Phi spiral shape of the cochlea can be found planet wide in a majority natural organic based life. DNA in its measurements of 31 by 21 angstroms suggests golden mean or Fibonacci structure. DNA can oscillate to protect itself from dissonant interference patterns of mechanical and electromagnetic waves. I propose that equal temperament and tunings of higher pitch may possibly effect DNA as DNA resonates the language of music and not syntax binary. More study needs to be done in this area by academic and independent researchers as according to Bruce Lipton, the biological functions of DNA can be affected in positive or negative ways. According to the Scottish composer Stuart Mitchell DNA is a cosmic musical score operating triplets of rhythm at over 3000 beats per minute. Truly all frequencies affect DNA and consciousness and DNA responds to the environment both local and non-local. No one frequency can be claimed be a magic one and only healing frequency, as we exist as an infinite universal medium of dimension. The “New Age” terms of 3D 4D 5D is completely a misnomer of true multi-dimension. Changing frequency may also change the electric potential of the brain which may alter and affect memory and perception by the slight change and charge within the water in our cells. This is perhaps why A=440Hz ET and higher concert pitches can be perceived as a brighter, thinner, outward of the head, whereas concert pitch at A=432Hz 12T5 or C=256Hz can be perceived as an inward experience of feeling. Our heart has more morphogenetic fields than the brain and is one of the first things to form in the womb, beating out the soliton pulse of cosmic musical DNA. We feel our emotional bodies from the heart and our solar plexus is the nerve cluster that senses those feelings like a microphone or transducer. From my own observations, some of the harmonic overtone partials of A=432hz 12T5 appear to line up to natural patterns and also the resonance of solitons. Solitons need a specific range to form into the realm of density and span from the micro to the macro cosmos. Solitons are not only found in water mechanics, but also in the ion-acoustic breath between electrons and protons. A measured phenomenon of effect that may support the idea of using A=432hz and 256Hz as a scientific concert pitch is also based on the amount of partials of A=432Hz from a musical scale that seem to correlate to organic systems and the measurement of planetary movement, the Sun and Saturn for example. Saturn is one of the solar systems accurate time pieces and it orbits the procession ever 864 of its years (432 x 2). Fulcanelli, the mysterious french master alchemist who wrote ‘Le Mystère des Cathédrales’ had this to say about Saturn when he deciphered the planetary cyclic cross at Hendaye: “…Saturn, because it is at the greatest distance from the sun of all the visible planets, has the longest “year,” taking a little less than 30 years to complete one circuit of the zodiac. This makes it the best precessional timekeeper of all the planets. Saturn completes one precessional Great Year of 25,920 years every 864 of its “years,” a half cycle every 432 of its “years,” a quarter cycle every 216 of its “years,” and an eighth of a cycle every 108 of its “years.” This equals (108 x 30) 3240 years, or 45 degrees of precessional arc. We can continue counting in Saturn years down to 9, one 96th of the precessional year, or 3.75 degrees of arc and 270 earth years, which brings us to the alignment period of the galactic meridian and the zenith/nadir axis. If we note when Saturn fell on a significant marker, such as the galactic center or antipode, then we can simply count Saturn cycles to mark the span of the Great Precessional Year. In this way, we could determine that if Saturn fell on the galactic antipode and made a station (since the earth is moving faster than Saturn, it appears as if it is overtaken, making it appear to stand still in the sky to mark the moment), then 432 Saturn cycles ago it was making a station at the same location, and would be doing so again at the completion of 864 Saturn cycles.” -Fulcanelli -open internet source. Many ancient sites reflect the number 432 in their alignment to stars and planets and the earths path through space. Avebury and Stonehenge for example, yield the numbers 432. 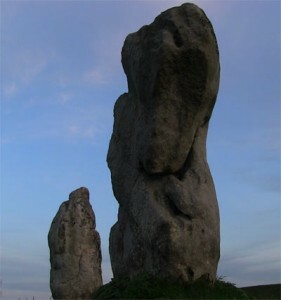 The connection of Stonehenge to the 25,920 year orbital procession of the equinox and the number 432 is obvious. If you take the first 30 stones in the outer ring of 360 degrees, divide that by 30 which gives you 12, and then divide 25,920 by 12 you get 2,160. which is the approximate diameter of the moon. When you divide the 60 stones in the second circle of 360 degrees by 60 you get 6. 25,920 divided by 6 equals 4,320. By dividing the 20 stones in the centre circle of 360 degrees by 20 you get 18. 25,920 divided by 18 is 1,440. If the second circle of 60 stones equals 25,920 years then each stone equals 432 years around the 12 sectors of the 25,920 year procession. The center circle stones would be 20 x 432 which equals 8,640 years The center stone in the center circle would be divided in half at the time of the equinox making two stones for a total of 20. 1,440 is one sixth of 8,640. 2 x 360 equals 720. I must also mention that it takes 72 years for the earth to travel one degree around the 25,920 year procession of the equinox. Many stone circles have shown that these precise numbers also foretell of the changing of the poles and their past positions according to balanced alignment. Many stone circles were laid down to warn future generations of the passing of certain orbital astral bodies that from time to time may cause cataclysmic events. It might surprise many to learn that highly advanced global civilization built monuments worldwide to the same ancient code of 72, 108 216 432 864 and that after the devasation of global catastrophe, the survivors that had knowledge of the previous ancient ways built markers for future generations to come. The great year of 25,920 years were carved in stone alignments and temples all over the earth. For centuries accurate astrological observatories served as classrooms and places of court and custom. It was in ancient times forbidden to alter session stones and markers and in some occasions such trespasses carried a death sentence. Those accurate calenders of astrological time keeping were finally altered by the formation of the first corporation sole known as the Roman Church. Stones worldwide were destroyed or moved, many vandalised and inscribed with the cross to convert them to the Roman Church in their lust for power and dominance over the earth. Natural time keeping was forbidden by the Roman Church and the stone Norse weoh calendars of Europe and most of the standing stone circles in greater Britain and Brittany were either cracked, pulled down or altered by the establishment at that time. Concert pitch 440Hz was slowly introduced into the United States By navy-man J.C. Deagan. Mr Deagan got his start in frequency when he was stationed in England whilst on active duty with the navy and attended a lecture by Hermann Helmholtz, a 19th century German physicist and physiologist who wrote “The Theory of the Sensations of Tone as a Foundation of Music Theory” in 1863. 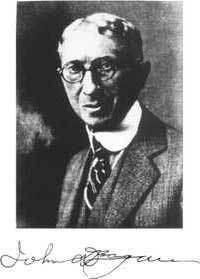 After the lecture, JC Deagan was inspired to create bells and chimes in 440Hz and from marrying into a prominent German cabinet maker family (the Funcke’s) he procured the funding and social status to persuade societies of music to change concert pitch to A=440Hz circa 1910. 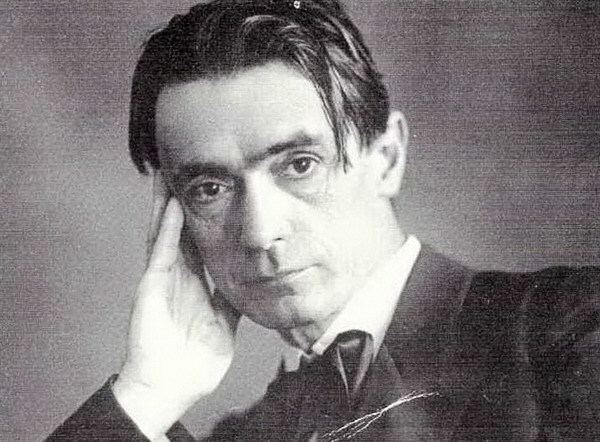 He continued to sell all pitch standards A=435Hz(French) A=454Hz(English) and A=461(American) until 440Hz was passed by the American Federation of Music in 1917. He then exclusively manufactured in 440Hz. By the 1920′s America was slipping away into the purse strings of the international bankers via the registered Delaware corporation called the UNITED STATES and the tuning of American music became absolute with the passing of A=440Hz as a standard of concert pitch by the U.S. standards bureau in 1922. Mr Deagan also began importing children’s marimbas tuned to A=440Hz from Germany. During World War II, his call to arms 440Hz chimes were used in war time movie propaganda reels and still to this day can be heard as the call sign tone icon of NBC broadcasting, the notes E G C.
Maria Renold’s book “Intervals Scales Tones and the Concert Pitch C=128hz” claims conclusive evidence that 440Hz and raising concert pitch above scientific “C” Prime=128hz (Concert A=432hz) disassociates the connection of consciousness to the body and creates anti-social conditions in humanity. Some audiophiles have also reported that A=432Hz music seems to be non local and can appear to fill a room, whereas A=440Hz can perceived as directional or linear in sound propagation. Raising concert pitch may cause stress or warping of acoustic instruments and may seriously damage a singers vocal chords according to some professional opera singers. 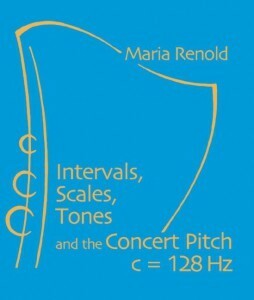 Maria Renold’s book is a wealth of information on not only A=432Hz, “C” prime 256Hz and 128Hz, but also a new way to tune instruments to A=432Hz which is the Twelve True Fifths tuning method (12T5). This harmonic alternative allows scientific “C” prime 256Hz to align with A=432Hz whereas other harmonic intonations do not. This method is superior to modern Equal Temperament which is the closed circle of tuning that we are constrained to as musicians. Equal Temperament (ET) was the excuse for musicians to play consonance, but it actually closes out perceptions to the sensations of tone and resonant harmony. If we examine the 20th century collective consciousness and the use of A=440Hz with equal temperament in mass media pushed through radio & television as the “British Invasion” of Rock & Roll, we see the potential anti social behaviours and possible dangers of using higher and higher pitches as central references for music although this author does not believe that the use of 440Hz was a conspiracy and instead more about ignorance by standards committee whom were not briefed properly on frequency research. It is for this very reason that “Just” intonation is making a comeback with some composers and after the constrained compromise of equal temperament since the 1850s onwards, people are seeking purer alternatives to the harmonic intonations of tunings and “Just” and mean tone tuning offers a number of more natural harmonics than the artificial closed circle compromise of equal temperament. Although this author does not believe in any religious or occult societies, when you let go of belief, there is a spiritual connection to nature that everyone born on this planet has by birthright. As far as consonant music is concerned, the difference between concert pitch A=440Hz and Concert A=432Hz is only 8 cycles per second, but it is a perceptible difference of awareness in the human consciousness experience of the dream we share called existence. The CymaScope™ is the pinnacle of cymatics research and is the concept of John who as an acoustics engineer, carried out cymatics research in the King’s chamber of the Great Pyramid of Giza in 1997. 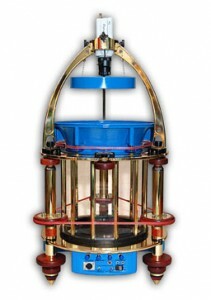 The CymaScope™ is an accurate device that measures acoustic vibrations of nodal points that form patterns of geometry in different liquid or solid mediums. “432 Hertz pops out as a triangle, every time we image it. When A is tuned to 432Hz the frequencies of the other A’s shift (within a decimal point) to 27 Hz, 54, 108, 216, 864, 1728 in other octaves. 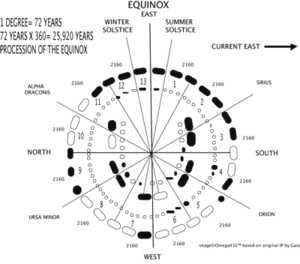 John had confirmed with his incredible invention the CymaScope™, what seems to be a scientific interpretation of geometric and mathematic order to the nature of sound. Although the values given above are derived from the mathematical scale, they create slight non-consonant values which cannot be used as an absolute standard today due to the problem of the pythagorean comma, which is a slight wobble or dissonance in division of the musical octave. This comma was the foundation reason that created a compromise between the three modes of musical philosophy so musicians could have a standard tuning called Equal Temperament. It was done by slightly bending the Pure 5th to create the division of the octave we know today as 440Hz ET. However for the sensation of tone to be more resonant at 432Hz you can alleviate the problem of the pythagorean comma by bridging the tuning of C Prime 256Hz with A=432Hz at Twelve True Fifths Tuning. The result is far more resonant than Equal Temperament tuned to 440Hz and from the stand point of Cymatic and acoustical physics research, should yield interesting new results about the nature of resonance. 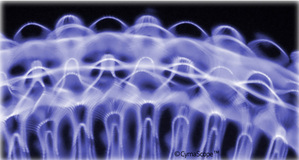 I invite John to resample the 432Hz Image using natural acoustic scale tones for A=432Hz/C=256Hz done at 12T5 tuning. This could be achieved by constructing an instrument similar to a monochord. I am sure the results would be spectacular. ***Images copyrighted and courtesy of John Stuart Reid of CymaScope™ as we are in agreement with John to display this image under certain copyright conditions, please link back and reference this page and Cymascope™ copyright. As this page is updated from time to time please make sure you refresh your information also Thank you.